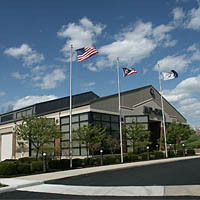 The AMP-Ohio headquarters in Columbus, Ohio. American Municipal Power - Ohio (AMP-Ohio), based in Columbus, Ohio, is a 501(c)(12) nonprofit corporation, formed in 1971, which owns and operates electric facilities and provides generation, transmission, and distribution of electric power to 121 member municipal electric systems – 81 in Ohio, 27 in Pennsylvania, 7 in Michigan, 4 in Virginia, and 2 in West Virginia. In 2006, AMP-Ohio reported $484 million in revenues, and held $540 million in assets (of which $250 million was in existing power plants). As of December 2005, AMP-Ohio had access to a $150 million line of credit, with JP Morgan Chase serving as lead underwriter. AMP-Ohio is governed by an eighteen-member Board of Trustees – including CEO Marc Gerken and General Counsel John Bentine, as well as representatives from 15 member communities in Ohio (Bowling Green, Bryan, Celina, Cleveland, Cuyahoga Falls, Hamilton, Montpelier, Napoleon, Oberlin, Orrville, Piqua, St. Marys, Wadsworth, Wellington, and Westerville), and one representative from New Martinsville, West Virginia. Mountain Justice Spring Break activists take their concerns to AMP CEO Marc Gerken in March 2008. AMP-Ohio is currently moving ahead with plans to build a 960-MW power plant in Meigs County, Ohio. The Sierra Club, the Natural Resources Defense Council, and the Ohio Environmental Council filed a motion with the Ohio Power Siting Board in October 2007, calling for the project to be reviewed or rejected. Meigs Citizens Action Now, a grassroots community group of concerned citizens from Meigs County, is also actively campaigning against the plant. In February 2009, AMP requested a $30 million loan from money set aside by state lawmakers for advanced-energy projects. The loan would help the company build its proposed coal plant in Meigs County, OH. In June, 2009, Ohio Gov. Ted Strickland’s released a $30 million "bridge loan" for the project from state stimulus funds. The governor's office said the plant qualifies for the state money because of its use of pollution controls. The company said that the stimulus loan was a major factor in breaking ground on schedule. The stimulus funds are derived from federal stimulus monies intended to support "clean coal." On November 25, 2009 AMP announced it had canceled the plant due to the "escalating prices that have put the cost of the plant close to $4 billion. Two years ago, the estimated cost was $2.5 billion." In March 2008, activists with Mountain Justice Summer briefly occupied the AMP-Ohio corporate office, demanding a meeting with CEO Marc Gerken; after some stonewalling, Gerken met with the MJS activists, and in that meeting agreed to schedule a meeting of the Board of Trustees, in which impacted community members could discuss their concerns with the Meigs County plant. On July 7, 2008, approximately 75 Earth First! activists gathered outside the AMP-Ohio headquarters to again protest the company's plan to build American Municipal Power Generating Station in Meigs County. Two protesters climbed flag poles in front of the building and hoisted banners that read “No New Coal!” and “We won’t stop until you do”. Around 20 activists entered the building and occupied the lobby as five protesters locked themselves down using chains. Police used pepper-spray on the protesters and arrested eight when they refused to leave..
Out of its total 576 MW of electric generating capacity in 2005, AMP-Ohio gets 36.9% from natural gas, 34.7% from coal, 19.8% from oil, 7.3% from hydroelectricity, and 1.3% from wind. (It should be noted, however, that - if AMP-Ohio's American Municipal Power Generating Station had been built - roughly 75% of the company generating capacity would have come from coal.) Virtually all of AMP-Ohio's power plants are in Ohio; the company has one hydroelectric plant in West Virginia. On May 18, 2010, the U.S. Environmental Protection Agency (EPA) and the U.S. Justice Department announced that AMP would be permanently retiring the Richard H. Gorsuch Generating Station by Dec. 31, 2012, under a settlement to resolve violations of the Clean Air Act's New Source Review requirements. 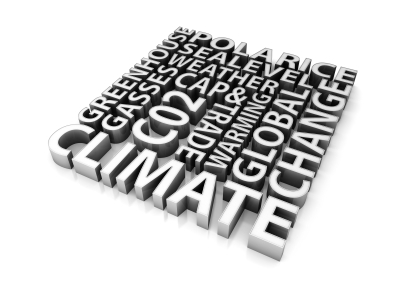 Interim sulfur dioxide and nitrogen oxide emission limits will be implemented until that date. Also part of the settlement, AMP will spend $15 million on an environmental mitigation project and pay a civil penalty of $850,000. In June 2010, American Municipal Power announced it had partnered with Standard Energy, an affiliate of Standard Solar, to develop up to 300 megawatts of new solar energy generation capacity. The agreement between the two companies is for 30 years and is reported to yield one of the largest groups of solar electricity facility developments in the country, providing power in Ohio, Pennsylvania, Michigan, Virginia, Kentucky, and West Virginia. AMP’s announcement left many in the local community wondering what, if anything, this means to the possible development of AMP’s property in Letart Falls into a natural gas-powered power plant. Meigs County economic development director Perry Varnadoe said AMP developing its energy portfolio to include more solar energy has nothing to do with the company deliberating the development of a natural gas plant in Letart Falls. AMP owns over 1,000 acres in the Letart Falls area along the Ohio River, but there is no natural gas line. In spring 2010, US Congressman Charlie Wilson reported he spoke to President Barack Obama about funding to place a gas line in the area and later received a phone call from U.S. Secretary of Energy Steven Chu saying the $17 million for the project will be the top appropriation from the U.S. Department of Energy in an upcoming spending bill. Varnadoe said Congress would likely act on this spending bill this fall. ↑ 1.0 1.1 1.2 AMP-Ohio 2006 Annual Report, AMP-Ohio website, accessed April 2008. ↑ Spencer Hunt, "Utility contends its project qualifies as "advanced energy" effort because facility would use new type of scrubber," Columbus Dispatch, February 23, 2009. ↑ "Ohio coal, solar plants to get job-stimulus funding," Columbus Dispatch, June 10, 2009. ↑ "Mountain Justice Takes On King Coal in Columbus", It's Getting Hot In Here blog, March 29, 2008. ↑ 14.0 14.1 14.2 Beth Sergent, "AMP signs deal to develop solar plant" Pomeroy Daily Sentinel, July 10, 2010. This page was last edited on 20 May 2016, at 20:13.